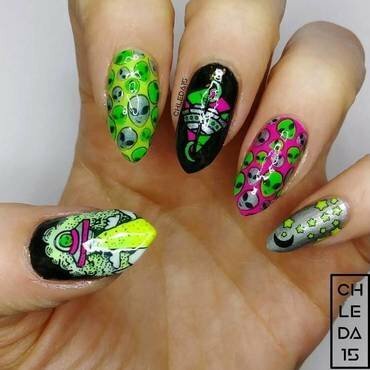 I'm a huge fan of X-Files and alien related stories. I like to hear stories about abduction and Ufo conspiracies. 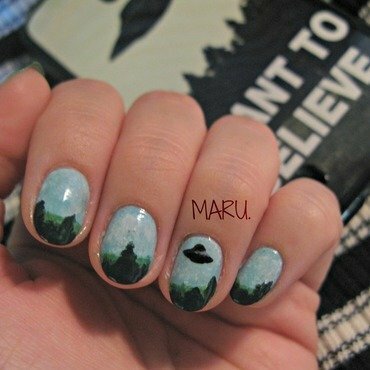 So it was abut time for me to do this nail art, inspierd by Fox Mulder's "I want to believe" poster.